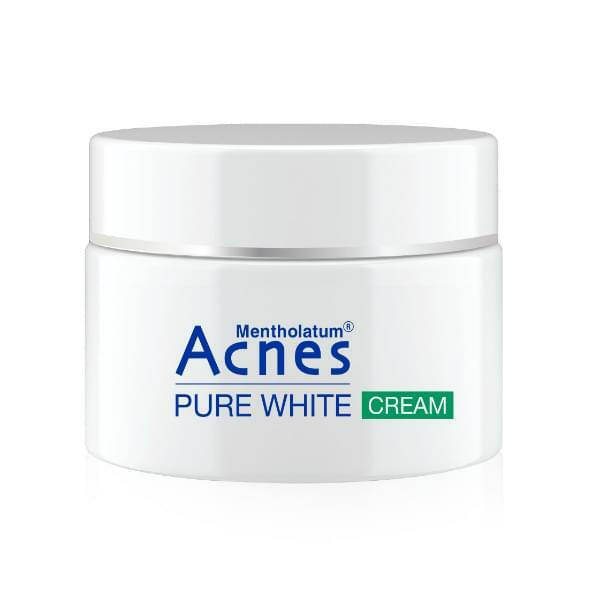 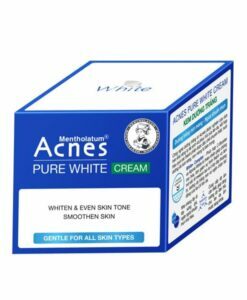 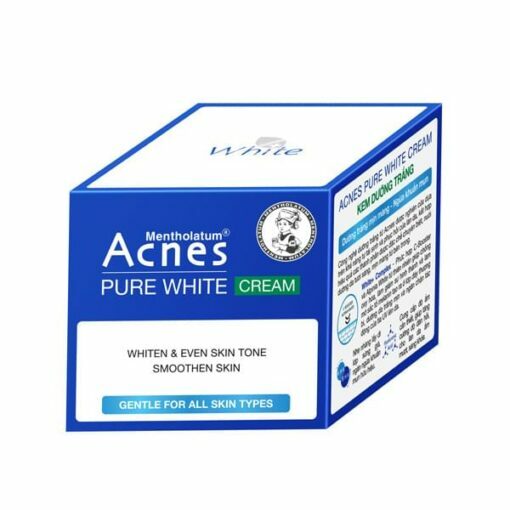 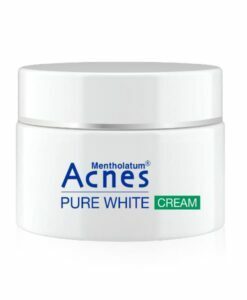 We are very happy to introduce the new Mentholatum Acnes Pure White Cream in 50 grams box. 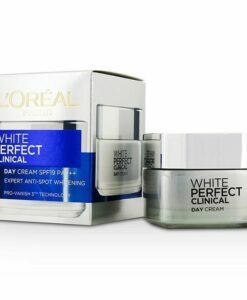 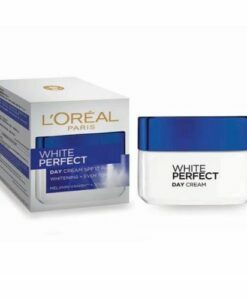 This product has white Complex technology with C-Booster and Alpinia White elements from nature. 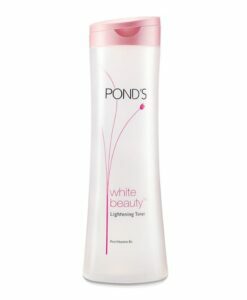 Therefore, It increases the ability to produce new skin cells. 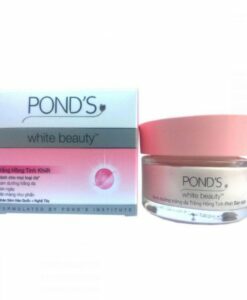 Anti-oxidant and prevents the formation of dark melanin pigment. 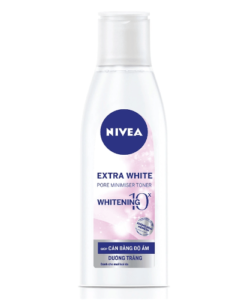 Washing the face, get a sufficient amount of cream and spread over. 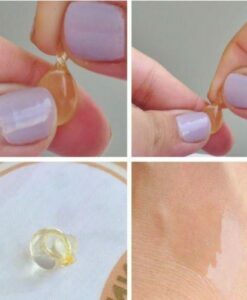 Massage gently to let cream absorbs into the skin. 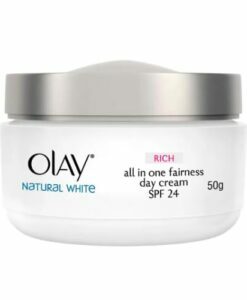 Use daily to achieve the highest efficiency. 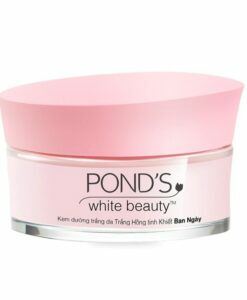 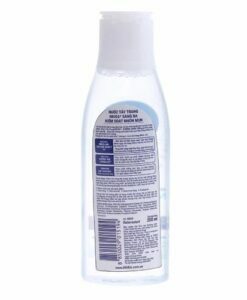 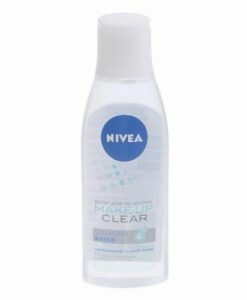 The best timing to use this product is in the evening and left overnight.